Any of you not pick up an HTC Thunderbolt yet, but have been wanting to for a week now? Now might be a good time. 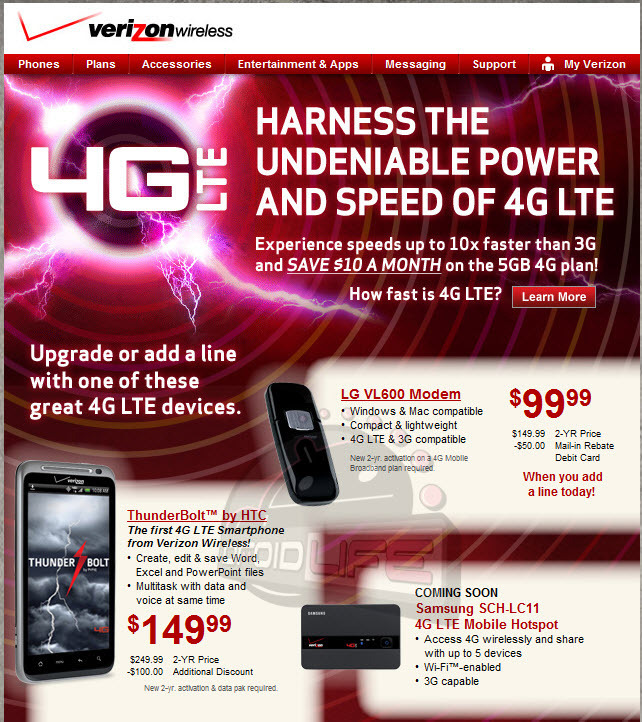 Verizon is sending the email you are seeing above, to select customers (possibly DROIDX and Pro owners) which offers them a TBolt for $149 after an instant $100 discount. The deal doesn’t appear to be regional and could be just going to those with an upgrade available now or at least in the near future. No matter what though, this would be a good thing to print out and show your local store if you are in the market for the first 4G LTE phone on Verizon. Update: We’re hearing now that this could be a regional deal, possibly around Chicago only. If you were able to get this deal outside of Chicago, please let us know. A VZW supervisor also wanted to point out that we made this deal go “viral.” Classic. +1 to all of you.